Exciting news for aspiring track athletes is the announcement of the dates for the PUMA School of Speed 2019 to be hosted at five venues across South Africa with the first meet at Coetzenburg, Stellenbosch on 26 January 2019. Entries are now open at https://schoolofspeed.com with the four additional meets to be hosted at Ruimsig Athletics Stadium in Johannesburg on Saturday February 2, Kings Park Athletics Stadium in Durban on Saturday February 9, Bestmed TUKS Stadium in Pretoria on Saturday March 2 and PUK McArthur Stadium in Potchefstroom on Wednesday March 13. 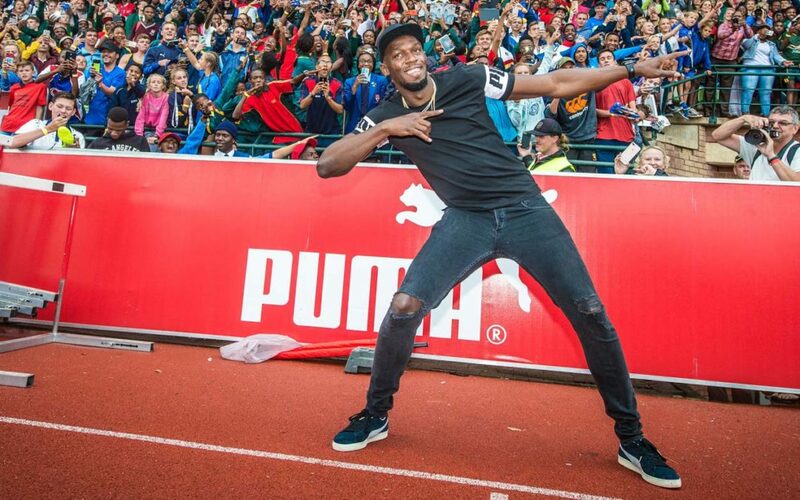 The series for U14 to U19 athletes was launched in partnership with Stillwater Sports in November 2016 to identify exceptional young South African athletes, and is headed by the World’s Fastest Man, Usain Bolt, who inspired young athletes when he visited the Ruimsig meet in January this year. Athletes compete in long and high jump, the 100m, 200m, 400m, 800m, 1500m, short hurdles and relays and the PUMA School Of Speed is endorsed by athletics federations so results count towards official qualification for provincial and national championships. “We are delighted to continue our partnership with Stillwater Sports in our quest to unearth young athletics talent and to grow the sport,” says PUMA Marketing Director Brett Bellinger. Follow us on Facebook: School of Speed South Africa &; Instagram: @schoolofspeed to keep up to speed on all the latest news or contact Stillwater Sports on 082 991 0045, via email info@schoolofspeed.com or visit www.schoolofspeed.com for race info and andrew@splashPR.co.za for media enquiries.